Learn to dive with Werner Lau in Pemuteran. 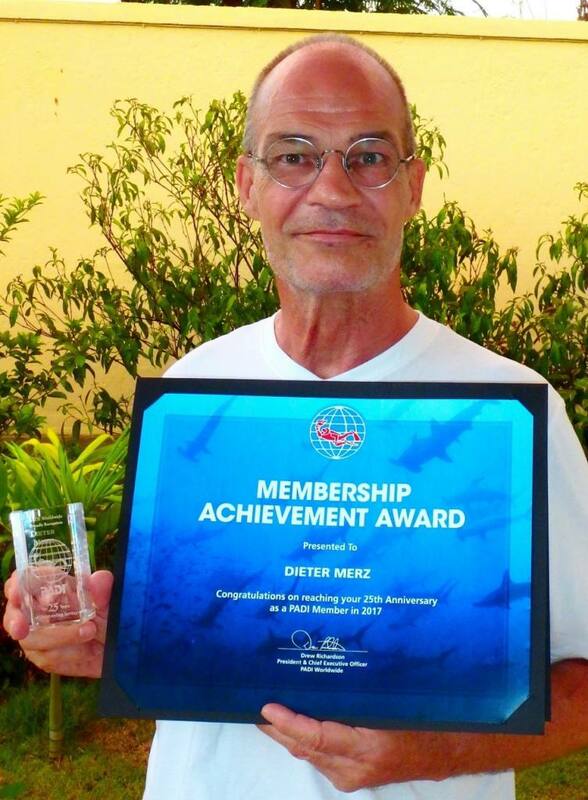 The base leader Dieter (Düde) Merz has recently been honored for his 25 years PADI instructor membership. After all this years he still have a lot of fun while diving. Everyone around and in the dive center get a benefits from his years of experience.